Composed by Traditional. Arranged by James Gilbert. Christian, Contemporary Christian, Gospel, Sacred, General Instructional. 6 pages. 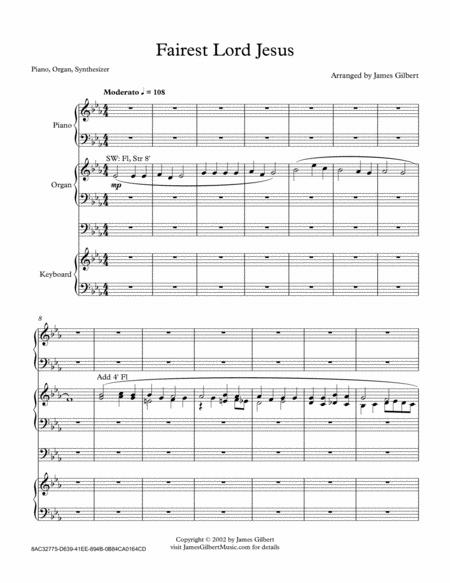 Published by James Gilbert Music (S0.38821). 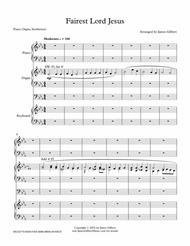 An arrangement of this classic hymn also known under the title B. Tune name: ST ELIZABETH. Suggested instrumentation: organ-piano and synthesizer. While the organ part does include pedals this piece could be played with any combination of keyboard instruments including all synthesizers.